Are you planning a trip to the polish capital? 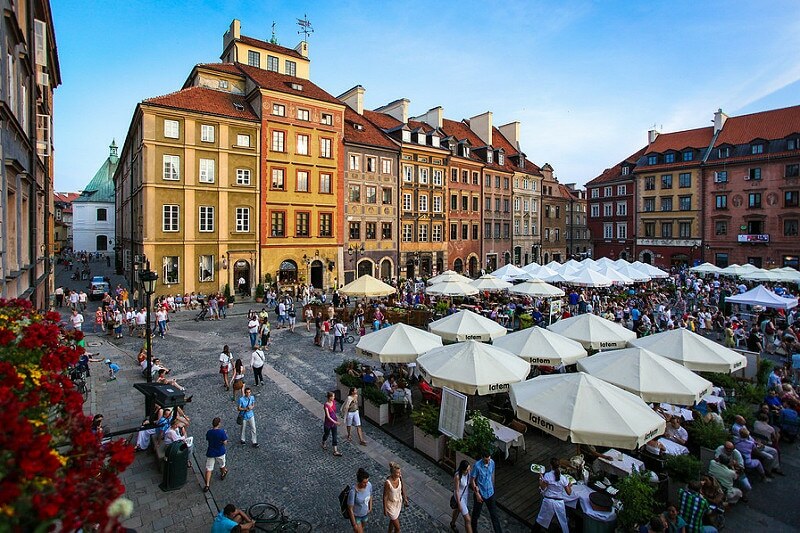 Discover the best areas to stay in Warsaw! Standing on the Vistula River between Berlin and Kiev, Warsaw is the largest city in Poland. Destroyed by more than 80% during the World War II, it was rebuilt to 90%, thus earning its nickname – the “phoenix city” – for having managed to rise from its ashes. Today, Warsaw is the eighth largest urban area in Europe, with more than 1.8 million inhabitants spread over 517 km². This immense city has experienced many traumas, and was torn between empires throughout its history. Experiencing significant growth in recent decades, the city has become an artistic, cultural, economic and financial hub, among the most important in the European Union. If you are looking for accommodation in Warsaw, there is plenty to choose from: apartments, hotels, youth hostels, and there is something for every kind of budget. In Warsaw, each district has its own atmosphere, and the Polish capital is known for its quality of life. Give its size, it will certainly be necessary to use public transport to get around. Discover our following selection of the best areas to stay in Warsaw. The old town was almost rebuilt exactly as it was before its destruction during the war. In fact, the streets of the old centre are like a window on the past, inviting visitors to a silent commemoration of what the Poles experienced here. After 1945, the leaders of the Polish Communist Party achieved the feat of reconstructing the city in medieval, Renaissance and Baroque styles from the 13th to 18th centuries. Multicoloured, the city centre features many small squares, and is also the city’s most touristic district, home to numerous art galleries, speciality shops, bars, and restaurants with terraces to sit back and relax. Poles, however, do not live here: Stare Miasto is a tourist den – we will avoid the term “ghetto” here… – where accommodation rates are quite high. It’s a good place to stay in Warsaw for a historical and romantic visit, however you should look elsewhere if you want to mingle with locals. Situated on the other side of the Vistula, this history-laden quarter was where the soldiers of the Red Army were stationed. In fact, the Nazis did not occupy the right bank and the Praga district remained almost intact. Today, this district is the favorite haunt of young people eager to be part of the Warsaw’s alternative and artsy culture. Here, the transition from the planned economy to the market economy also has its corollary: formerly ill-famed during the communist era, the district has gradually gentrified and now attracts the wealthy middle classes. Discover Praga’s alternative art galleries, cafes, bars, and concert venues where Warsawers come to have to a good time. If you’re keen to party the night away, you should definitely look for accommodation – hotels or apartments – in this area. North Śródmieście is the heart of Warsaw’s bustling life. Between modernity and conservation of the city’s historical heritage, this district is a perfect place to stroll around while nibbling on mini-pastries, quench your thirst on a terrace, wander along the streets, go shopping in the large stores of the modern avenues and party until dawn. North Śródmieście is also home to a number of interesting historical monuments, including the Royal Route, churches and parks on Krakowskie Street Przedmieście, which runs south towards the restaurants of Nowy Świat neighbourhood. 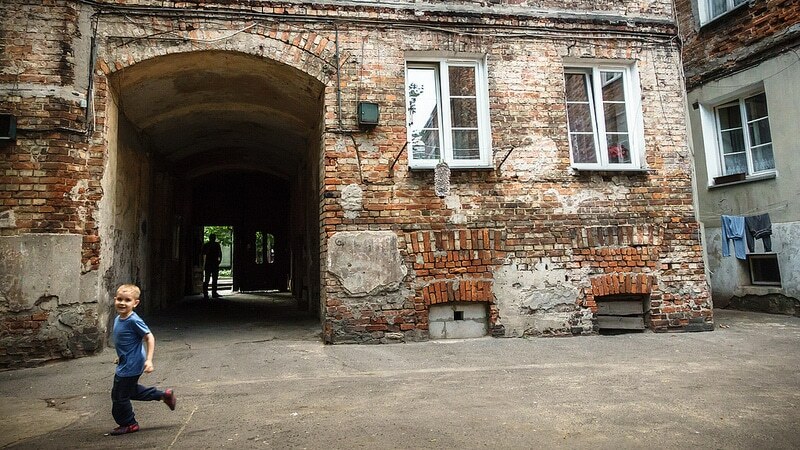 To the west, in the neighbouring district called Wola, don’t miss the Warsaw Uprising Museum. This pleasant neighbourhood is ideal for cultural visits and/or if you’re travelling as a couple or a family.